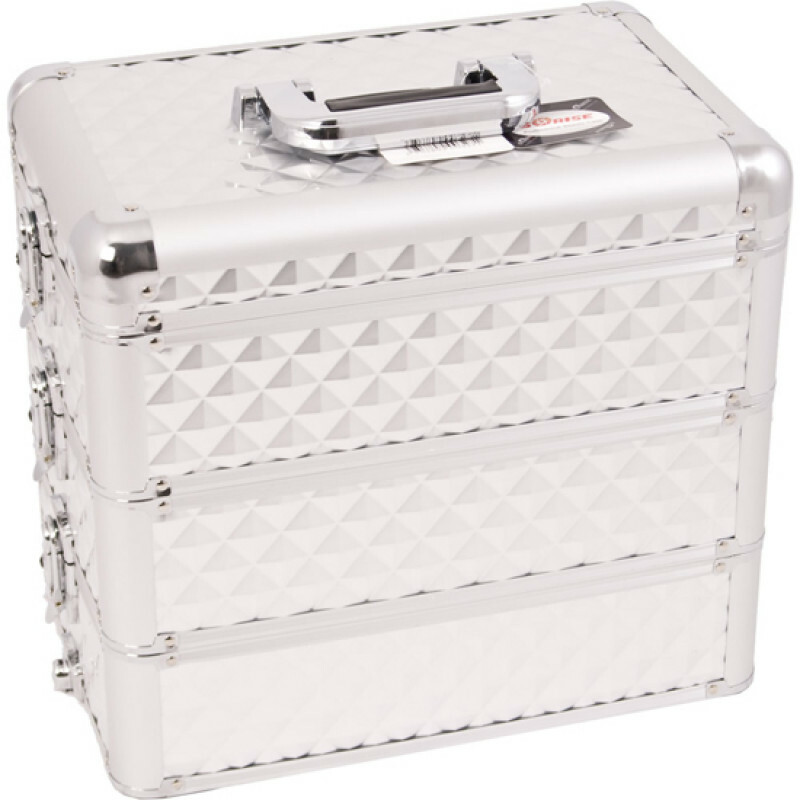 The E3303 Sunrise Silver Diamond Pro Makeup Case w/Removable Tray and Dividers is made of durable aluminum. 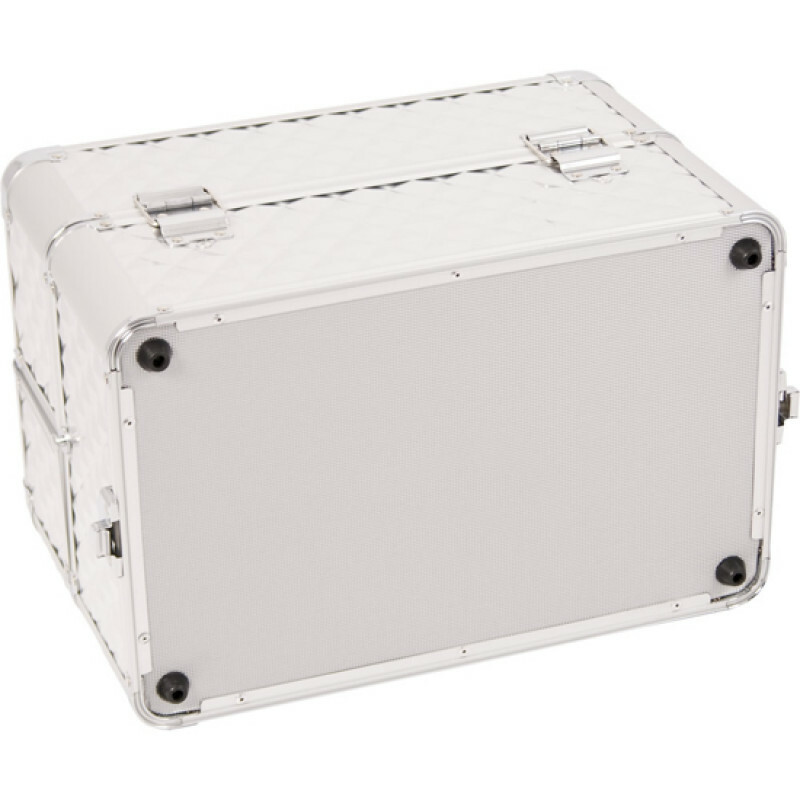 Heat-resistant exterior protects cosmetics on hot days. 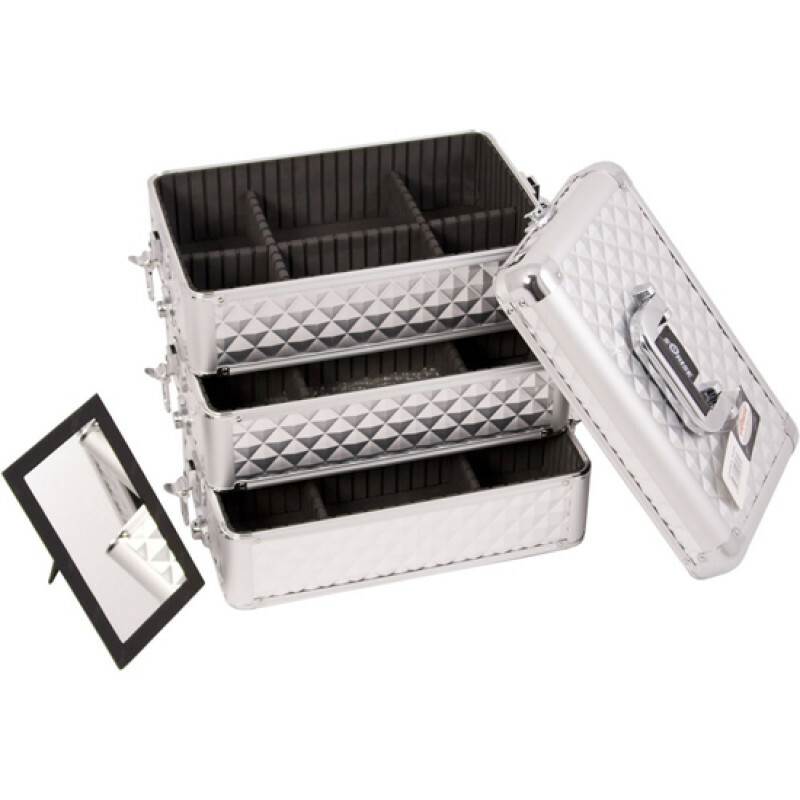 Heavy duty handle is easy to grip. 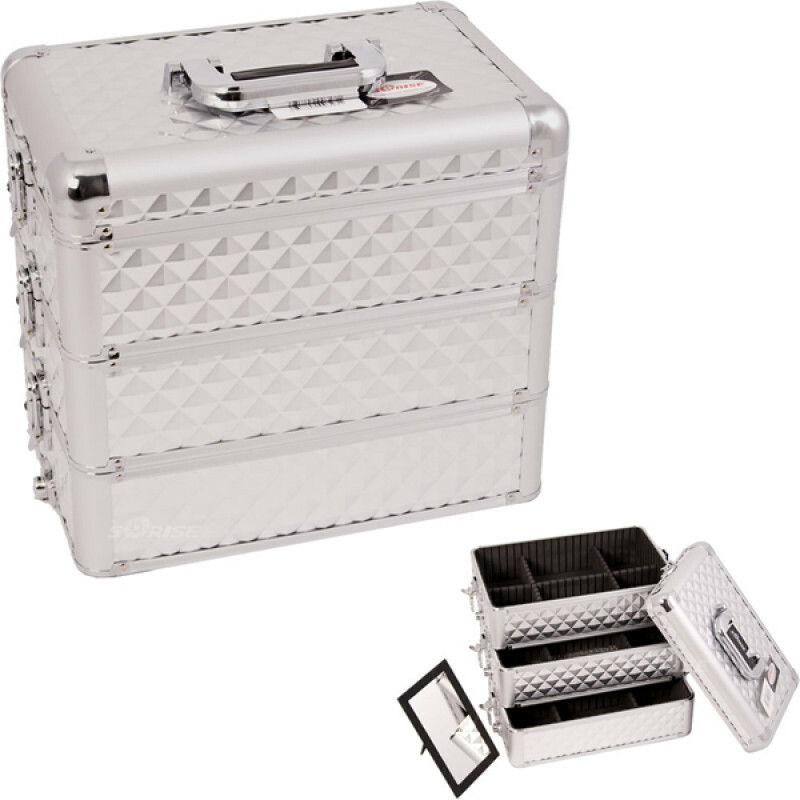 This case is attachable to any E series rolling case.